As a Virtual Assistant, you have the opportunity to work from the comfort of your own home. You also have the option of being an employee of a company or starting your own Virtual Assistant business and contracting out your services (onboarding clients). Both of these options have their advantages and disadvantages, and it is crucial that you go down the path that suits your needs. 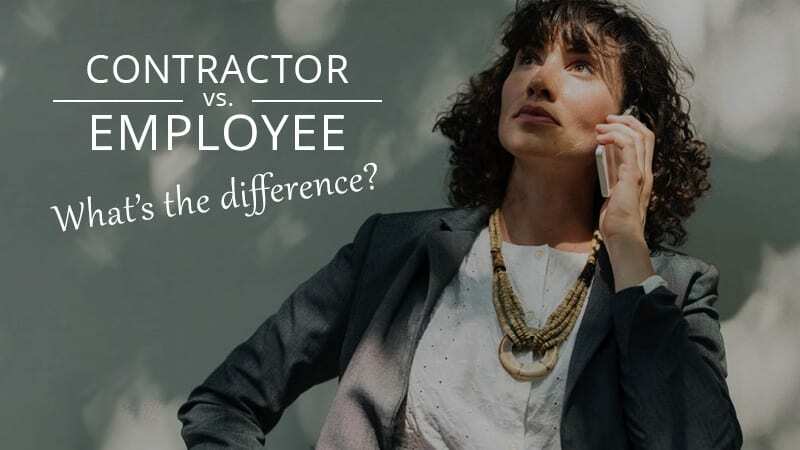 So, what is the difference between an employee and a contractor? Coming on as an employee of a company as a Virtual Assistant would be similar to every other position, but rather than coming into an office, you would be completing your work from home. Applying for a position would include sending a resume and cover letter and meeting virtually for an interview with the hiring company (for tips on acing your job application click here). As an employee, you would adhere the hours and deadlines given to you by your employer, be on the company’s payroll as an employee and be required to follow the company’s policies and procedures. Research the companies that you are considering, ensuring that they are the right fit for you and that you are the right fit for them. As an entrepreneur, you will also be responsible for creating a pricing chart and invoicing your clients. It is vital that you assess your “worth”; be sure not to undervalue yourself! You have the opportunity to work for more than one company, you can use instead onboard various organizations as clients and find what industry works best for you. The flexibility of hours is another excellent benefit of being a contractor. Most often, you can choose which hours you work on a specific project, for example, if you want to work at 2 am when your children are sleeping, feel free! The most important thing is to find what works best for you! You might start out as a contractor and later decide that you would work better as a full-time employee of a company. Do your research and make a decision that suits you!